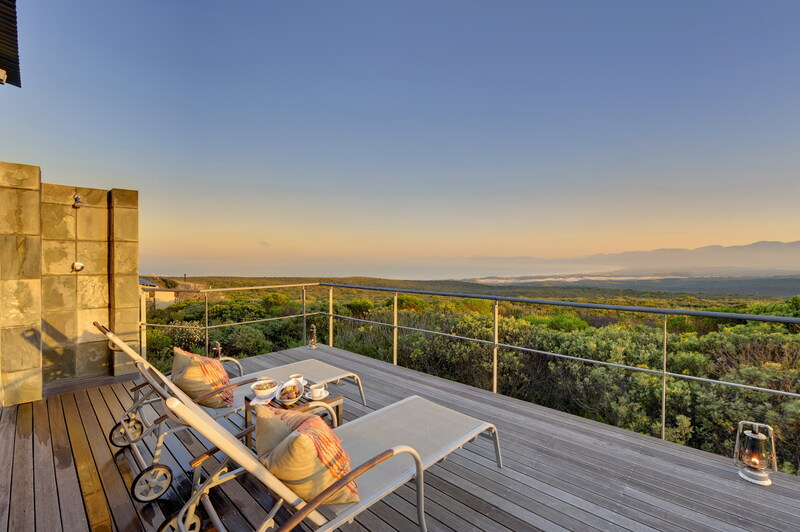 Grootbos Private Nature Reserve is an award-winning eco-reserve set above Walker Bay, less than two hours from Cape Town and close to the southernmost tip of Africa. Magnificently positioned on a landscape between mountains, forest and sea, Grootbos is a supreme nature escape where environmentalists lead 4×4 drives, horse and hiking trails through forests and fynbos, coastal walks, seasonal whale-watching, and boat tours to view seals, white sharks and African Penguins. Luxurious accommodation is provided at a choice of lodges: The handsome stone-and-thatch Garden Lodge is set in a Milkwood forest above the coastline, while the contemporary Forest Lodge – accessed via a magical forest, lords it on a hillside and grants the most breathtaking views of fynbos and sea. Grootbos also has two Private Villas providing a luxurious and fully serviced home-away-from-home for guests in search of that extra bit of seclusion. Grootbos is a superb blend of fine lodgings, food of feast proportions and nature at her very best. There's currently no specials at Grootbos Private Nature Reserve. A conference facility at Forest Lodge accommodates 40-80 delegates, depending on seating style.